Lists of Britons who infringe copyright are to be drawn up by the UK's biggest ISPs, under proposals from the regulator Ofcom. The plan is contained in a draft code of practice it hopes will curb copyright infringement. Names and the number of times individuals infringe will be logged. Music firms and movie studios can request details from the list so that they can decide whether to start their own action against serial infringers. However, any suspected infringers will be sent three warning letters before any action can be taken. The letters will contain "easy to understand information on the nature of the allegations made against the subscriber and on what actions a subscriber can take, both to challenge the allegation and to protect their network from being hijacked for the purposes of infringement." Jim Killock, executive director of the advocacy body the Open Rights Group (ORG) said the proposals left "huge unanswered questions". The ORG joined forces with the Communications Consumer Panel Consumer Focus, Which and Citizens Advice to draw up a set of principles they believe should govern the code of practice. The principles say sound evidence is needed before any action is taken and consumers must have the right to defend themselves. The code initially only applies to big ISPs but could be extended, even to mobile networks, if infringement on smaller networks grows. It tells ISPs under what circumstances they should inform customers that their accounts are allegedly being used to pirate copyrighted material. Ofcom said the code should come into force in early 2011. The call for the creation of the code is contained in the controversial Digital Economy Act (DEA). One of the most controversial elements of that act was its granting of powers to the Secretary of State to disconnect people or slow their connections if they ignore warnings. However, the code says: "The Secretary of State has not indicated his intention to make use of these provisions at this time and this consultation is not concerned with this aspect of the DEA." Technical measures such as these would require further legislation and Parliamentary approval. 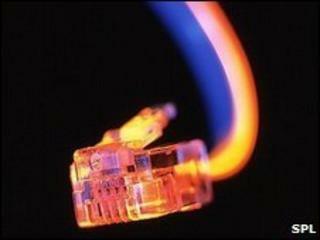 Initially the code will only apply to ISPs that have more than 400,000 customers. This includes BT, Talk Talk, Virgin Media, Sky, Orange, O2 and the Post Office. An independent appeals process will also be set up for those customers who believe they have been wrongly accused of copyright infringement. Ofcom has begun a consultation exercise on the proposals which will conclude on 30 July. The communications watchdog said the code would go alongside other work to educate customers about copyright infringement, promotion of legal alternatives to file-sharing networks and targeted action against the most persistent offenders.